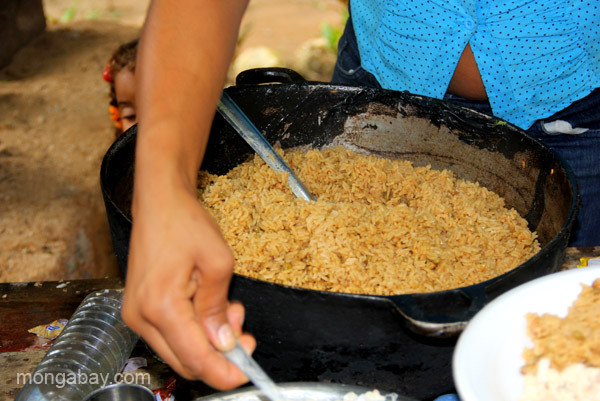 Rice is a staple of a family dinner by the river near Mencia in the Pedernales Province of the Dominican Republic. This picture, titled "Rice is a staple of a family dinner by the river near Mencia in the Pedernales Province of the Dominican Republic. ", was taken in Dominican-Republic by Tiffany Roufs.